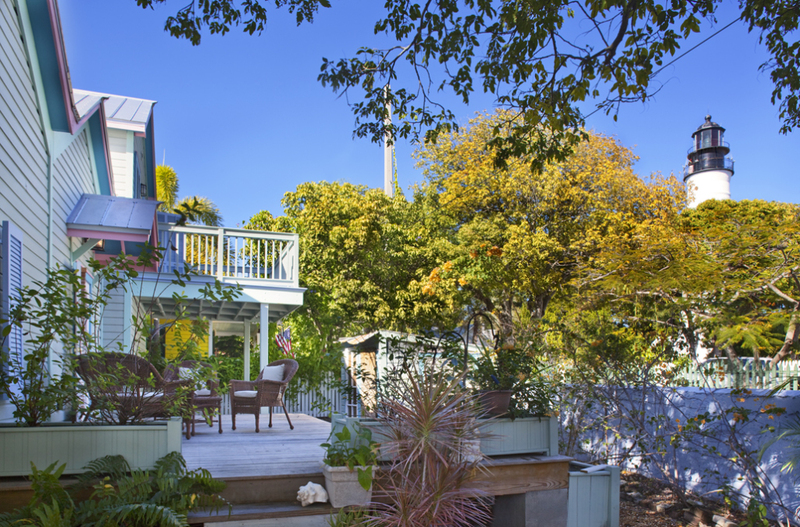 313 Truman Avenue, Key West, Florida—SOLD $734,500. 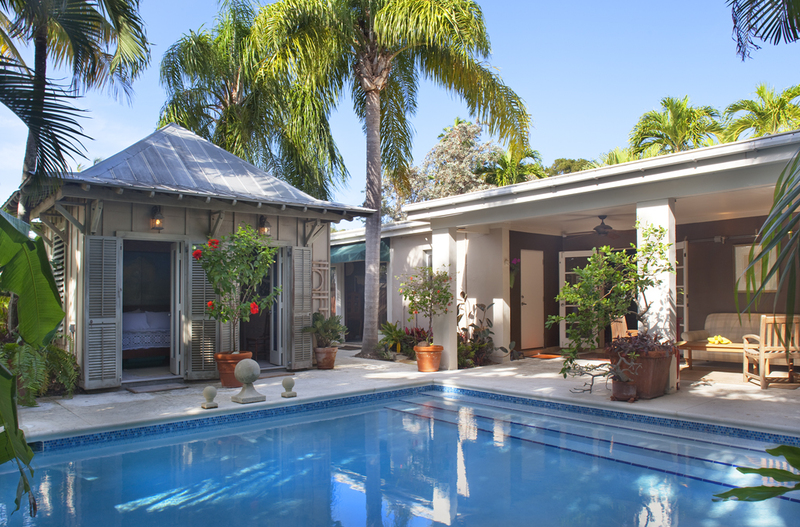 You will love this charming Key West eyebrow house. The historic Key West lighthouse is right next door. 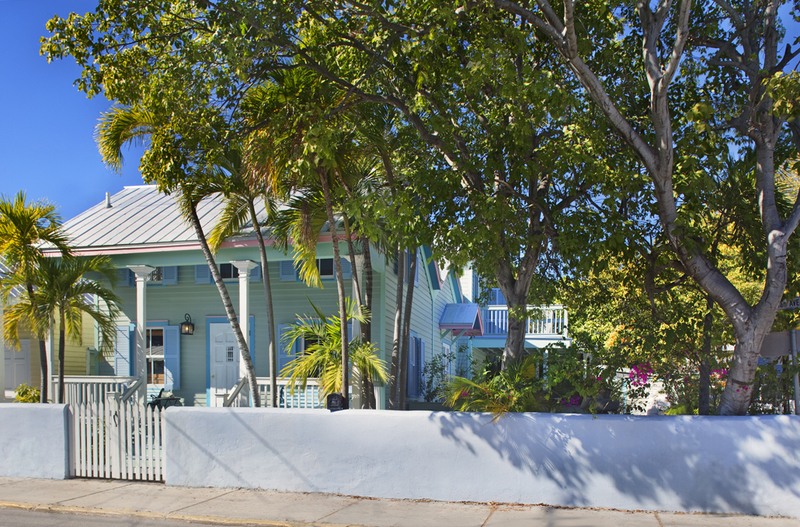 We love our new listing at 313 Truman Avenue in Old Town Key West. 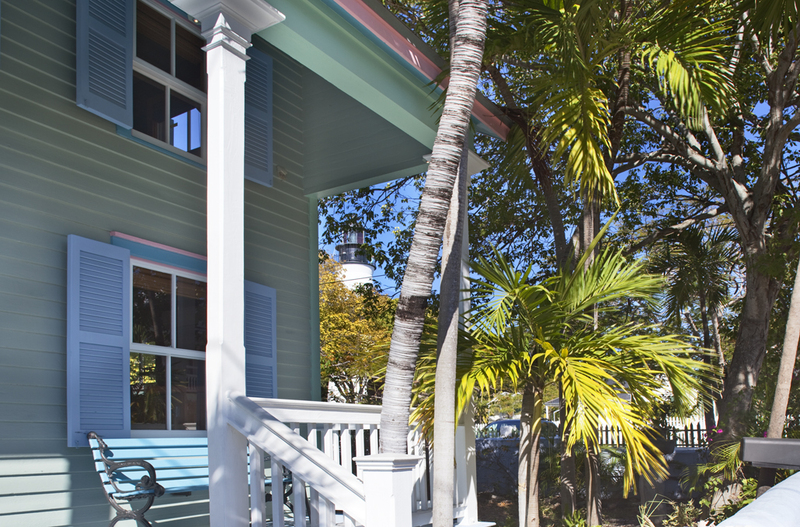 Stunning views of the landmark Key West lighthouse greet you as you enter this sawtooth eyebrow house. With its colorful island style exterior, the recently renovated home shines with captivating curb appeal. 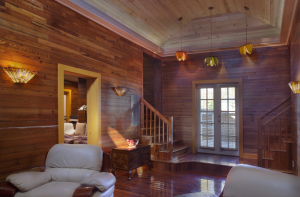 Dade County pine walls shine throughout the home. Classic Dade County pine walls are featured throughout this truly unique, three bedroom, three bath home. The spacious updated kitchen leads to a soaring living room and a first floor bedroom, bath, and office nook. A custom-built split staircase leads to a light-filled guest suite and the customized master suite. We love the home’s panoramic island views! Outdoor tropical living offers panoramic island views. A private deck off the master suite overlooks the lighthouse keeper’s quarters and grounds. French doors open from the living room to a generous deck and walled garden. An existing cistern can easily be converted to a pool. Coveted off-street parking is accessed from charming Terry Lane. Conveniently located just a short, block-and-a-half, stroll from Duval Street, this one-of-a-kind home is not to be missed. Click here to enjoy a virtual tour of this historic home. This entry was posted in Homes We Love and tagged cottage style, Duval Street, front porches, gingerbread, homes, Key West, Key West cottage style, Key West history, Key West lighthouse, key west real estate, Old Key West, Old Town on December 23, 2014 by Dean. Over the course of 2014, so many people asked us how our first year working together as Realtors® was working out. When we began our professional partnership, we accepted that it would either turn out to be a really great experience, or it would prove to be a total disaster. We are happy to report that working together as the Townsend Team has been terrific. With our first wonderfully successful year under belt, we are looking forward to an even greater 2015! Thankfully, we sold a lot of homes this year. It is unquestionably easier—and more enjoyable—selling a property when we love it. We got to thinking about the homes we were lucky enough to sell: homes we wished we were buying for ourselves, family, or friends. We came up with a list of our favorite home sales of 2014 that we hope you will enjoy. 5. 327 Virginia Street, Key West, Florida. We love this Bahama Village tropical retreat that we sold for $659,500.00. 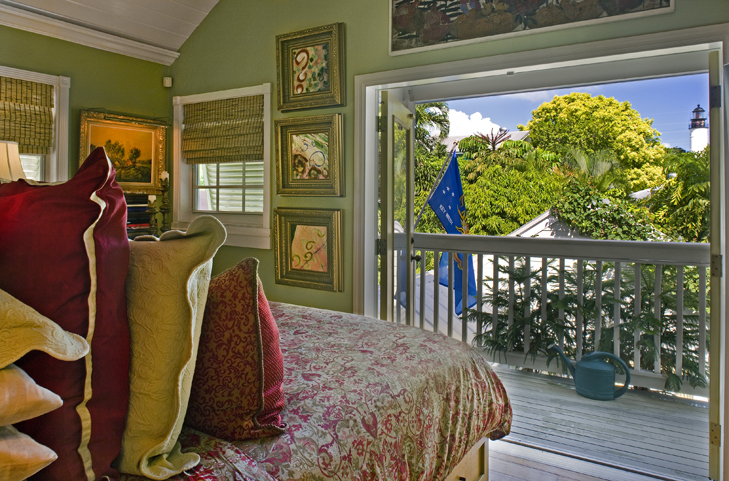 The master suite’s million dollar view of the historic Key West lighthouse simply can’t be beat. 4. 700 Pearl Street, Key West, Florida. This beautifully renovated home in the Meadows tugged at our heartstrings. 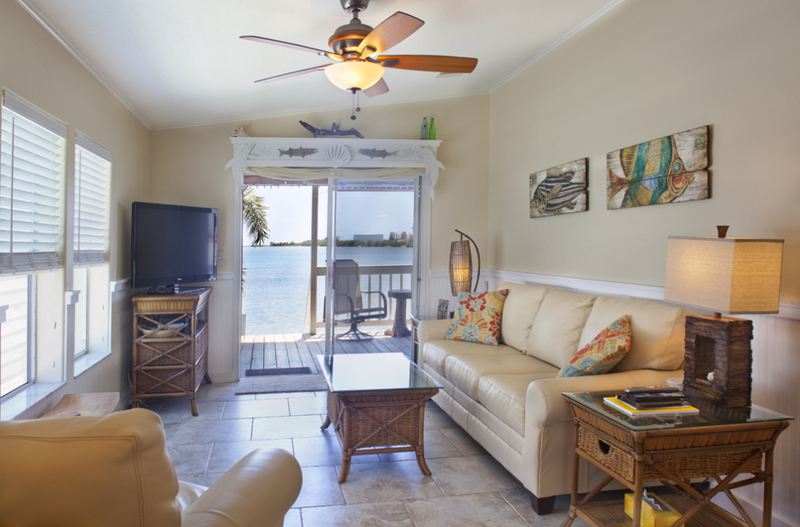 Our customer loved the property’s delightful mix of contemporary and Old Key West style. He purchased the home for $614,150.00. 3. 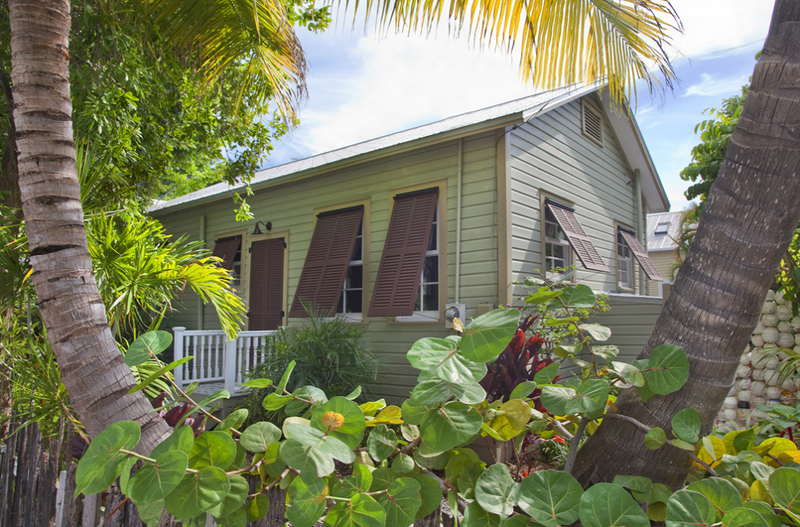 6800 Maloney Avenue, #110, Key West, Florida. 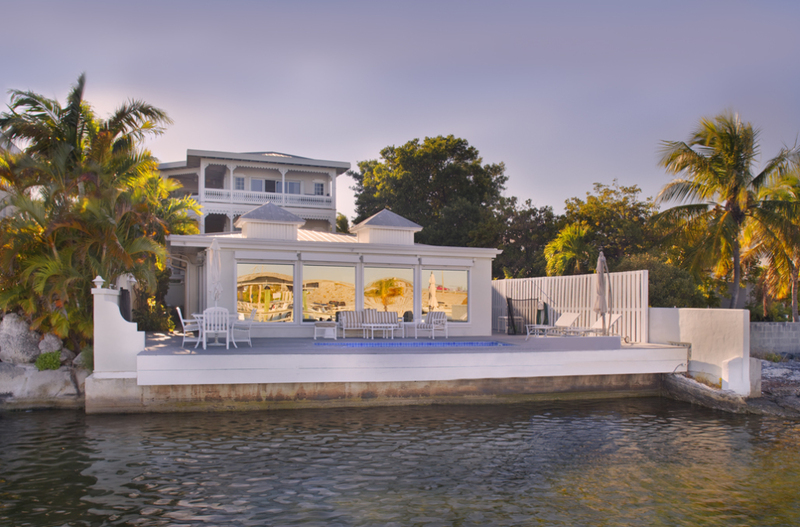 We never tired of showing this charming and affordable waterfront home on Stock Island—especially when we spied manatee swimming just off the dock. We listed and sold the property for $250,000.00. 2. 827 Eisenhower Drive, Key West, Florida. We haven’t stopped imagining ourselves moving into this very special waterfront home on Garrison Bight in the Meadows. Although we were disappointed that we couldn’t purchase it for ourselves, selling it for $1,300,000.00 helped us feel a bit better. ★1. 1510 Laird Street, Key West, Florida. Our first listing of 2014 turned out to be our favorite home sale of the year. This magical three bedroom, two bath home features an open floor plan leading to a generous veranda, sparkling 20’ x 20’ pool, lush tropical gardens, and a one-of-a-kind guest cottage. We were delighted to sell the beautiful home for over the asking price at $705,000.00. This entry was posted in Homes We Love and tagged best of 2014, cottage style, homes, Key West, Key West cottage style, Key West lighthouse, key west real estate, Old Key West, pools, real estate, tropical gardens, waterfront on December 22, 2014 by Dean.